With about a month left before legislators adjourn, some key story lines still haven't reached a conclusion. Then there’s Gov. Jay Nixon. Even at this early juncture, he’s already put out statements of disapproval that could foreshadow another unusually active veto session. Here are five big questions about the last month of the legislative session. We’ll answer these questions after the General Assembly adjourns on May 16. Will Republicans find consensus — and unity — on tax cuts? Soon after Nixon vetoed a wide-ranging tax cut last year, 15 House Republicans found enough problems with the legislation to vote against an override. Despite all the recriminations that followed the vote, it was clear that Republicans would try again this session with a bill that could withstand Nixon’s veto. 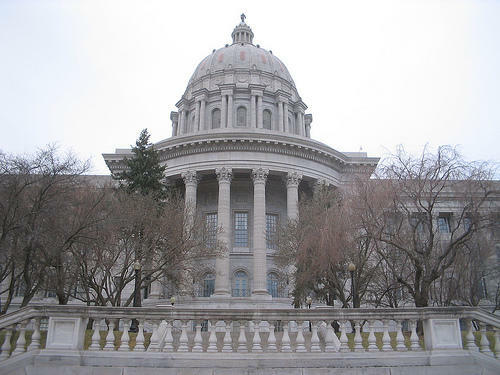 That bill may be state Sen. Will Kraus’ legislation, which could face consideration in the Missouri House in the coming days. The vote count on that bill could be instructive. Republicans currently have 108 members in the House, so the chances that the legislation will receive the 109 votes needed to override a potential veto aren’t very high. But if Republicans can get close to that number before May 16, they may be able to beat back Nixon’s objection during veto session when special elections will likely add two more Republicans to the House. One thing to watch for, though, is Nixon’s reaction to whatever tax cut plan receives legislative approval. He’s said he may sign legislation that ties a tax cut to reductions in tax credits and increased funding of K-12 education. But if that type of bill doesn't make it across the finish line, he could launch a full-scale blitz again to kill the legislation. Can the House and Senate break the logjam on tax credits? The push to curtail tax credits is a perennial in Missouri politics: Step one: The Missouri Senate wants big cuts in the tax credits for historic preservation and low-income housing. Step two: The House balks and offers a counterproposal that’s unacceptable to the Senate. Step three: Nothing passes and tax credits stay the same. 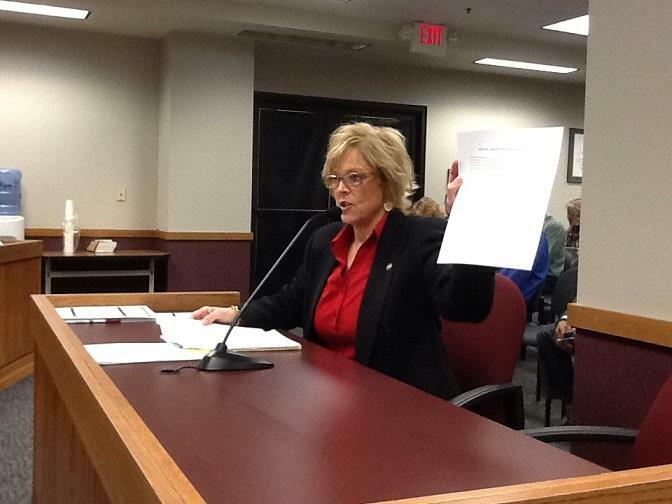 Rep. Anne Zerr, R-St. Charles, sponsored tax credit legislation that passed out of the House. The bill's fate in the Senate is less assured. Will this year be different? Hard to say. The House passed legislation earlier this year that lowers the caps on both programs. Most likely, the two chambers will have to hash their differences out in a conference committee. Without some sort of grand compromise, the status quo will reign. But prepare for a showdown. For-profit and nonprofit developers and syndicators will likely get involved in any fight over the low-income housing tax credit. And besides preservation boosters, St. Louis officials like Mayor Francis Slay will have an interest in what happens to the historic tax credit. Is the transportation tax being steered to a legislative dead end? Efforts to place a 1 percent sales tax increase for transportation on the ballot took a curious turn with a legislative squabble over bicycles. That impasse was temporary, and the House passed state Rep. Dave Hinson’s resolution by 96 to 53. Supporters of a 1 percent sales tax increase for transportation projects are putting all their chips on getting their proposal on the ballot through the legislature. But the bike fight is just a side issue. The sales tax proposal is almost certain to face a filibuster from state Sens. John Lamping, R-Ladue; Ed Emery, R-Lamar; and Rob Schaaf, R-St. Joseph. (Some Democrats, like Sen. Paul LeVota, D-Independence, also oppose it.) That type of opposition sunk last year’s proposal, and it doesn’t seem like much has changed this time around. If the tax increase runs into the filibuster wall again, it will likely be a death knell for now. Jack Cardetti, a spokesman for a group supporting the tax, said his organization is “not circulating petitions — our sole focus is on the legislative route to the November ballot.” With a May deadline to turn in signatures for initiative petitions, there isn’t enough time for supporters of the tax to change course. Are Senate Republicans prepared to break the “previous question” moratorium? It’s been nearly seven years since Republicans used a parliamentary maneuver called the “previous question” to end a filibuster. And the decision to stop using that maneuver led to relative peace between the Republicans and Democrats in the Senate — and made the filibuster a much more powerful tool. Senate Majority Leader Ron Richard, R-Joplin, has threatened to use a previous question to extend the waiting period for abortions. The maneuver could hypothetically be used to squelch GOP filibusters on the transportation tax — though, it should be noted, that has never happened since Republicans took over the Senate. The decision is a momentous one because of the enormous ill will the maneuver caused in 2007. Could Nixon’s veto threats face a challenge from his own party? Nixon received plenty of credit for scuttling tax cuts and “gun nullification” legislation last year. Not only did he veto those bills, but he spent plenty of time on the road to ensure that the objections wouldn’t be overridden. Gov. 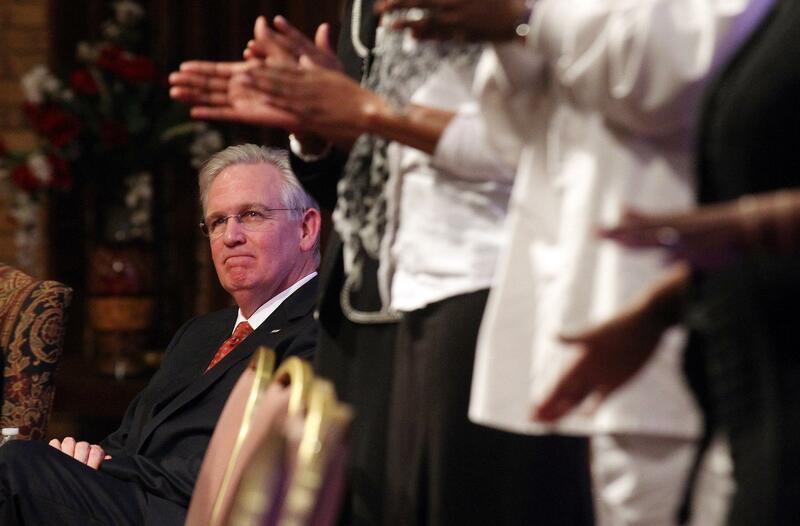 Jay Nixon's vetoes sunk some big-ticket bills last year. But it may not be as effective this time around on education and criminal code legislation. But legislative consensus prevented Nixon from wielding his veto pen on some issues, such as the bill that abolished county foreclosure mediation programs, which some key local and state elected officials vigorously opposed. When it became clear that the bill could be comfortably overidden, Nixon let it go into effect without his signature. 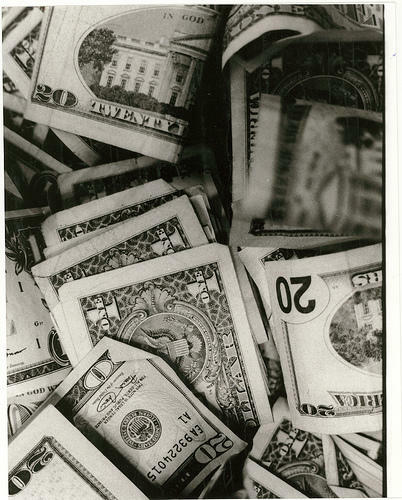 Bills revamping the state’s student transfer law and criminal code could have a similar fate. Nixon has issued veto threats to both pieces of legislation, but the final versions of those bills may be supported on both sides of the aisle. There’s still time for the legislature to craft final versions that satisfy Nixon’s concerns. 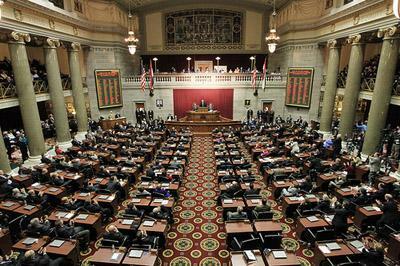 But if not, Nixon may go into a September veto session in which his objections to major pieces of legislation may not withstand the will of the legislature. For his part, Nixon said last week that the vote count on legislation won't impact his decision-making. Missouri Gov. Jay Nixon and some potential allies in the latest legislative battle over tax cuts stepped up their attack Thursday on two fronts. Just as the General Assembly was leaving for its long weekend, the governor issued a statement making clear that the tax-cut measures that the House and Senate have been considering so far don’t meet his standards for approval. Roughly a thousand labor union members crowded onto the south lawn of the state Capitol Wednesday to rally against legislation to turn Missouri into a "right-to-work" state.